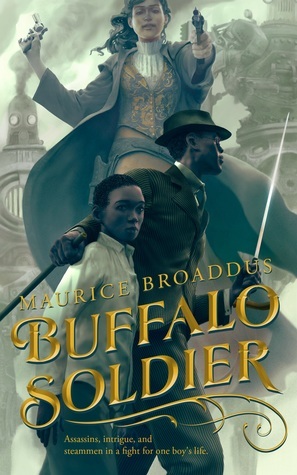 While Tor.com has a very full and impressive lineup of novellas coming out in the near future the one that stood out the most to me was Buffalo Soldier by Maurice Broaddus. A secret agent escorting a mysterious young boy through a North America completely different from our own? What is not to want? After reading the tale, and enjoying it very much, I asked if the author would be willing to answer a few questions. Thankfully he agreed! But first, some information on the upcoming tale! Having stumbled onto a plot within his homeland of Jamaica, former espionage agent, Desmond Coke, finds himself caught between warring religious and political factions, all vying for control of a mysterious boy named Lij Tafari. Wanting the boy to have a chance to live a free life, Desmond assumes responsibility for him and they flee. But a dogged enemy agent remains ever on their heels, desperate to obtain the secrets held within Lij for her employer alone. 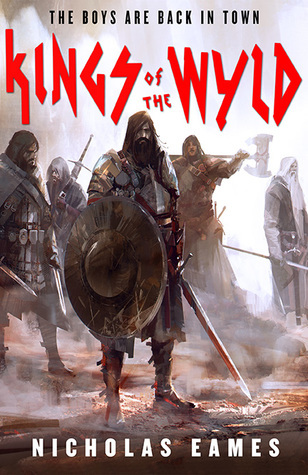 Assassins, intrigue, and steammen stand between Desmond and Lij as they search for a place to call home in a North America that could have been. First of all, thank you so much for agreeing to a Q & A. I loved Buffalo Soldier and have a major fascination with GOOD alternative history and just had to ask a few questions. Earlier this week I raved about Amberlough, the amazing debut from Lara Elena Donnelly. I was not even halfway through the book before I realized I absolutely had to ask the author for a chance to do a Q & A session. Graciously she agreed! No further ado needed; I present to you you good readers... Lara Elena Donnelly.